"My experience at the heidi elnora Atelier was unforgettable. I thought the search for my perfect dress might take weeks, but when we met Heidi and her Atelier staff, we knew we were in the right place. Heidi found my dream dress within an instant. She knew exactly what I would love. It was a combination of classic and traditional with all the room I needed to dance the night away! They know exactly how to make a bride feel beautiful. Throughout my follow up appointments, Elizabeth was incredible. I cannot praise this amazing Atelier and staff enough. I am thrilled to forever be a Heidi bride!" "From the first phone call to the final *squeeze* from Elizabeth, my experience at Heidi Elnora Atelier was a dream. This was by far the fanciest dress I had ever worn and I had no idea what I wanted. Elizabeth suggested the Build-A-Bride line to help me narrow down my style and then customize it until I got "the feeling." Since I live in Dallas and my mother lives in Florida, we met in Birmingham so that my grandmother and aunt could be there as well. When my Google search turned up a the name of a familiar designer (thank you, Bride by Design! ), I booked an appointment right away. Elizabeth took such care to make sure I was comfortable and my "posse" was included. It also didn't hurt to get a few minutes with Heidi herself to help pull the look together." "The staff at Heidi Elnora completely took care of me from start to finish. I had a shorter engagement and was worried I may not find somewhere that could complete my dress in time. Heidi Elnora not only got me my dress on time, they customized a gown for me with plenty of time until the big day. Everything was timely and taken care of, and the expectations set at the beginning of my time with them were beyond fulfilled. 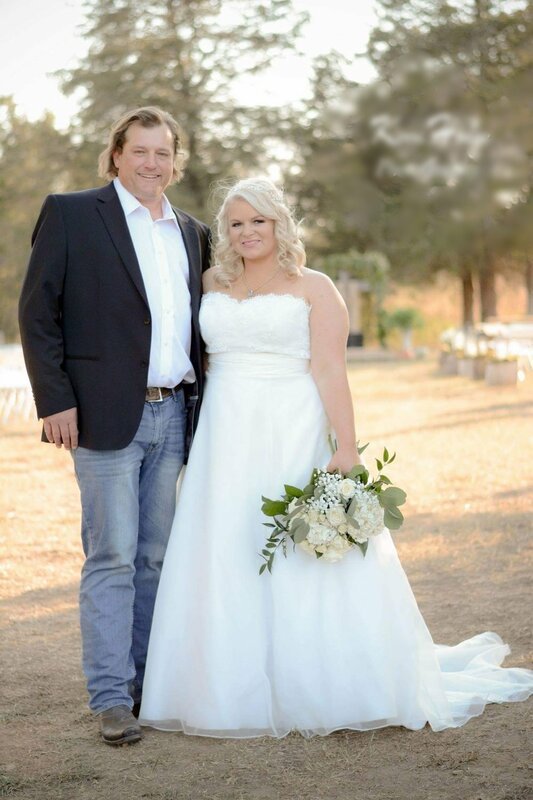 I am so pleased and proud of my decision to use Heidi Elnora for my wedding dress." "After weeks of searching for the perfect dress, I found myself very frustrated because nothing I had tried was even similar to the look I had in mind. 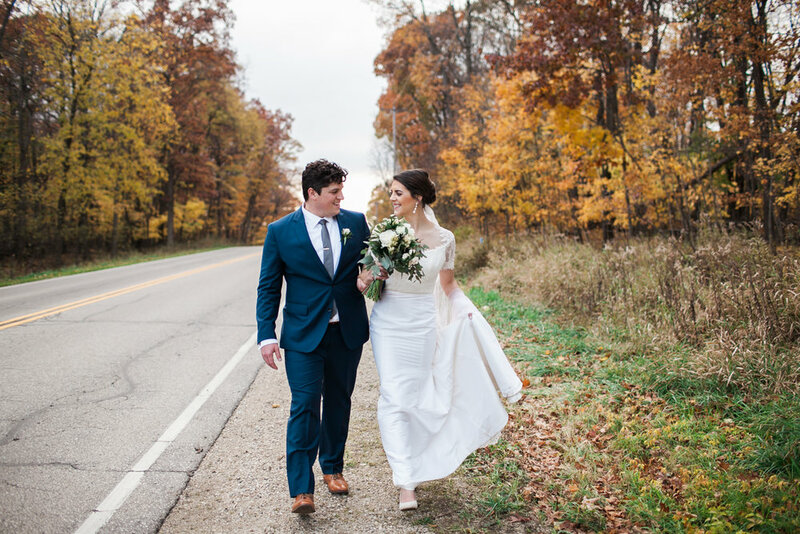 A family friend suggested for me to call and make an appointment with Heidi Elnora Atelier and swore I would find “the perfect dress.” When we arrived we were greeted by Elizabeth and from the moment we met I knew I would love working with her! I found the perfect dress for me but I wanted to change a few things up and that is when Heidi stepped in to make the dress exactly what I wanted it to be. Heidi and her team were amazing to work with! If you’re looking for the dress of your dreams, go to Heidi Elnora! "I can't sing the praises of Heidi and her team enough! They put a little extra love into every detail and were an absolute joy to work with. They didn't just help me shop for a dress, they helped me create one and it was more than I could have ever asked for. They are truly the best!" "When I first met Heidi, I knew she was someone special - she has this infectious, bubbly, positive, and genuine personality and everyone who meets her is blessed to know her. I was fortunate enough to meet Heidi when she first began designing wedding gowns and after playing "dress up" in a few bridal shows, I dreamed of the day when I could wear one of her gorgeous dresses in my wedding. Flash forward almost 10 years later and I finally got my chance. Shortly after getting engaged, choosing my wedding dress was the first thing on my list and I only wanted to wear one of Heidi's gowns. I booked a quick weekend back home to Birmingham and made an appointment to see Heidi. Mother Nature wasn't on my side, so I ended up getting into Birmingham around 6pm on a Friday night. I'm still so grateful that Heidi and Liz stayed late on their Friday night to wait for me. I tried on 3 sample dresses and loved every one of them for different reasons. As I was standing there in the third dress, Heidi said very matter-of-factly "I know which dress is yours" and she retrieved a dress from the back room. As soon as I saw it, I knew it was "the one" and putting it on reassured my intuition. I walked out to show my family and they were all in awe. Heidi made a few tweaks to make it even more perfect and when I walked into the dressing room to take it off, I couldn't help but to shed a few tears of joy. I felt so beautiful in this dress and I could immediately picture myself walking down the aisle to my future husband. The day of my wedding was more beautiful and perfect than I ever could have dreamed. I can't count the number of compliments I received on my gorgeous wedding dress. Not only was it unique and gorgeous, but it was also really comfortable! I feel so special to have worn one of Heidi's creations and the only thing that would make it better is if I could wear it more often! Thank you from the bottom of my heart to Heidi, Liz, and the rest of the Heidi Elnora Atelier team for making my perfect wedding dress, for making the whole experience so fun, and for making me a #heidibride!" "When I entered Heidi Elnora’s store for my first meeting with Heidi, I carried a binder full of photographs of wedding dresses, each presenting an element I loved. After listening to my thoughts about the dresses I presented, Heidi took out her notebook and sketched a design. When she showed me the design, I was amazed by her ability to synthesize all the best elements of the dresses I presented. Heidi understood what I wanted before I did, and she clarified a vision for a stunning gown that I could not wait to wear. To add another challenge to the process, I wanted to use the same Chantilly Lace from my older sister’s dress. Not surprisingly, Heidi recognized the fabric and said that she could contact the vendor in New York to get the exact lace. 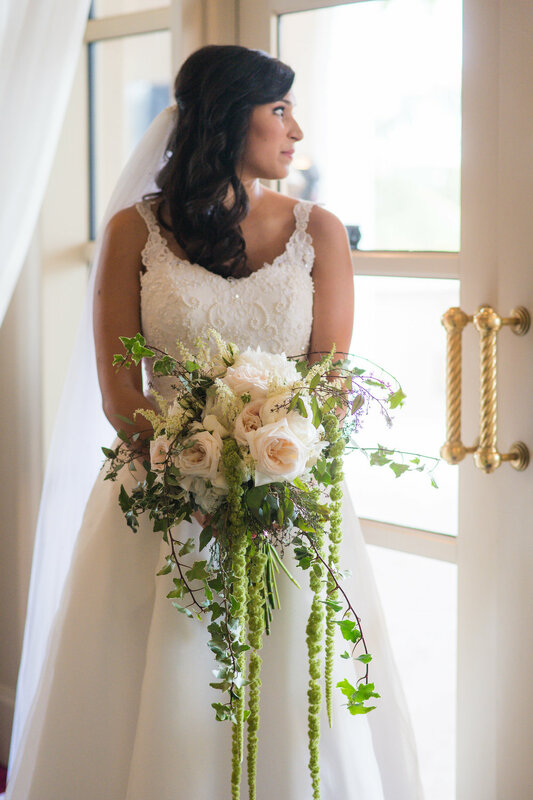 Heidi and her team went above and beyond in creating a wedding dress that is more than I could have dreamed for: a stunning gown with layers of lace cascading like clouds into a full-length. Heidi and her team carefully cut and hand-sewed every lace applique onto three layers of tulle fabric to create this effect. What I love about wearing a custom-designed dress is that Heidi and her team designed a dress with details that exemplify who I am, details like an intentionally chosen cream base color to the deliberately placed delicate lace appliques. What I came to realize about Heidi in this process is that she is an artist, someone who attends to every intricacy of her designs because she cares about the brides who will wear them. Because of her careful attention to detail and passion for the art of designing exquisite dresses, Heidi’s gowns illuminate the beauty of each Heidi Bride. My experience working with Heidi and her team was amazing; they treated me like family and made me feel beautiful every time I stepped into their magical store. Seeing my husband’s face light up with joy as he saw me walk down the aisle in this breathtaking gown is a memory I will treasure forever. I am so thankful to Heidi and her team for all their dedication and care in designing my dream dress, and furthermore I am so excited and honored to pass such a timeless gown to my children and their children for generations." 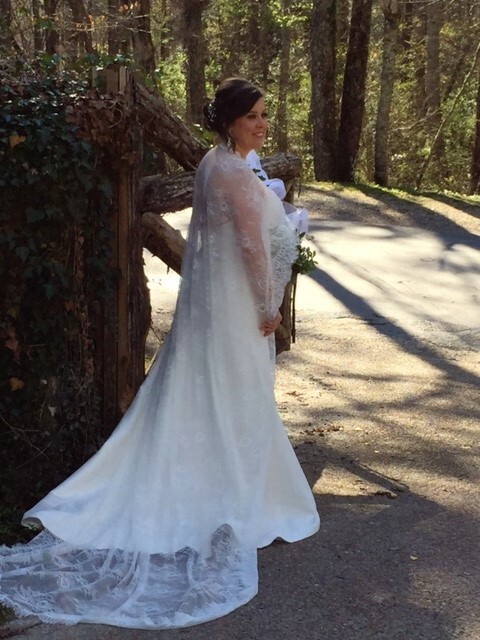 "Thank you Heidi and Elizabeth for making my bridal dress experience perfect!! I couldn't have asked for better service at your Morris location! The build-a-bride dress A-Frame dress was beautiful and super comfortable + having pockets was awesome! I can't thank you all enough! I will highly recommend every and anyone for your bridal service!" "Working with Heidi was an absolute dream. I loved my dress and y'all's team made sure I was 100% in love with my dress before I walked out of the door. The build a bride is such a unique concept. My sister is getting married in May and is going to wear my dress! We are coming to the Atelier in a few weeks to customize the dress to her taste and I have no doubt it will be perfect! Thank you all for making me feel beautiful on my special day!" 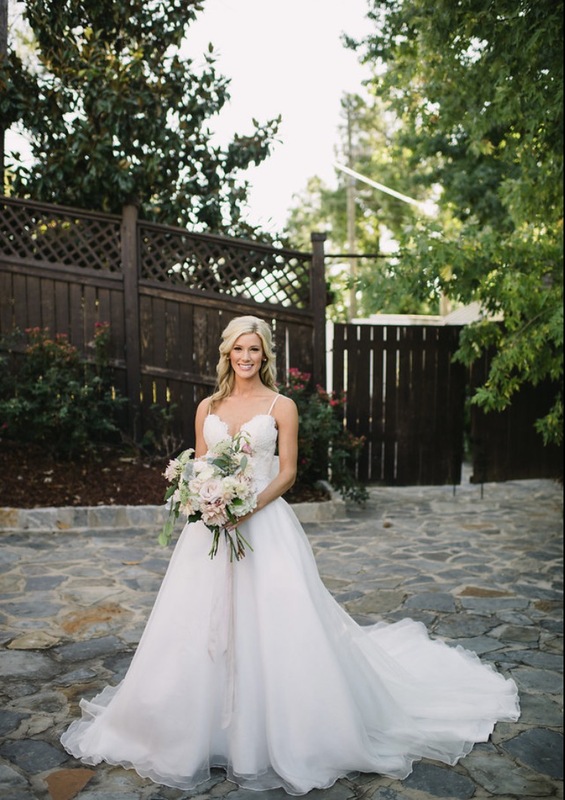 "Heidi Elnora made wedding dress shopping not only easy, but an exciting and memorable experience that I will never forget! The second you step into the atelier, they ask questions and personally get to know you. Once they know who you are and what your style is, they make trying on dresses so much fun! There was never any pressure or hard feelings. When a dress was clearly not the one, we all agreed to move on, and continued until we found my perfect dress. Even after I received my dress, the girls at Heidi were great at communicating and ensured everything was perfect and ready for wedding day. I cannot thank Heidi Elnora enough for all that they did for me. I am so thankful to be a Heidi Bride!" 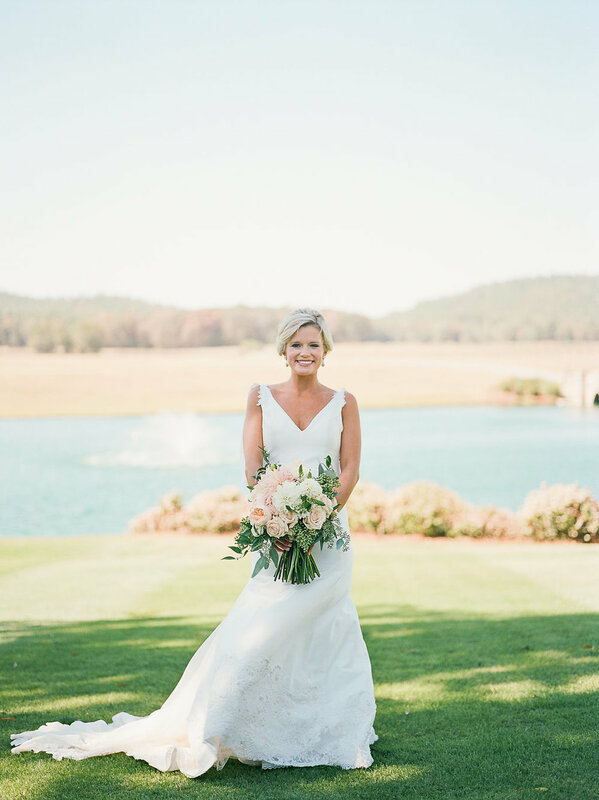 "My experience with heidi elnora Atelier was truly a dream. It was the easiest part of my wedding planning adventure! 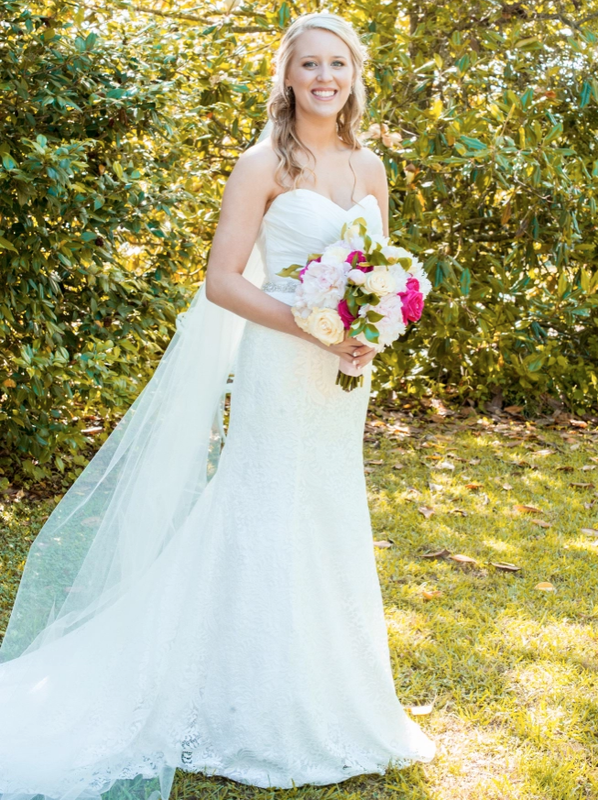 Elizabeth helped me find the perfect dress from Heidi's "Build a Bride" line, and from there we worked together to personalize it to perfection! There was absolutely NO overwhelming feelings or stress! I looked forward to every fitting, not only because I was ecstatic to try on my dress again- but also because I fell in love with Heidi and her staff! I could not have had a better experience!" "Heidi and her team are amazing! Everyone was so sweet and accommodating! Not only did they help me find the perfect dress, but also made sure we had fun while doing so!" "Amazing experience, everyone was so kind and very helpful. I loved the efficiency. Heidi had me try on the multiple styles that I was leaning towards in pictures, and when I was trying them on she could tell instantly, based off of my expression, how I felt in the dress. I was able to narrow my selection down to 2 dresses, and she worked with my budget to put the top half from one dress together with the bottom half of the another. I cannot wait to see the final result!! " "One of my favorite parts of my wedding was that I got to be a #heidibride. I may need help with this quote thing, but honestly what I would want people to know was that I walked into my dress appointment with Heidi with a 4 month old and more weight on me then I have ever had on me in my life.. I was honestly dreading it and the trying on dresses.. Heidi made me feel so comfortable in my own skin and from the moment I met her I knew that there were going to be many things that were not going to be "perfect" about my wedding day but my dress was the one thing I did not have to worry about being anything less than perfect for me! Having my perfect Heidi dress, my two baby boys in my wedding and getting to marry their father made it the best day ever for me." "I met Heidi years ago when one of my best friends was getting married and I was a bridesmaid! I loved her then and I love her now!! She is SO genuine and will do everything in her power to make you feel like the prettiest bride ever! She is so patient and caring and definitely knows how to have fun!! She also has an incredible staff who is just as genuine and each one of them is so talented! If you are looking for the best staff of people who will help you find the wedding dress of your dreams, Heidi Elnora is the place to go!! " "I am so thankful for my unique, one of a kind experience. Heidi and Elizabeth made me feel at home. All of the stress and anxiety about finding the right dress slipped away when I walked into the store. They made me feel comfortable and at ease. I liked that I was the only bride there, and I got their undivided attention. The environment was so comfortable. The store is breathtakingly gorgeous! We all talked and laughed together as if we had known each other for years. They listened to my likes and interests, provided their opinions, and made me feel special. I am more than pleased with my beautiful dress and how I looked on my wedding day. I could never thank them enough for being the special, talented individuals that they are. 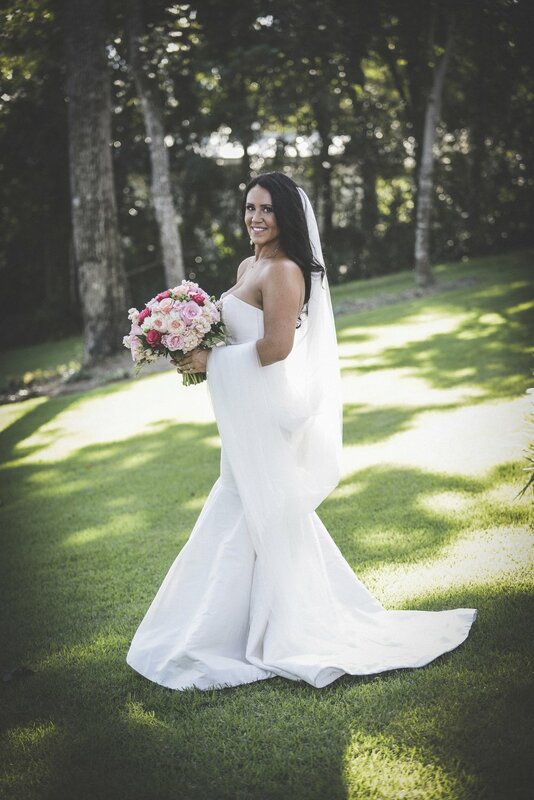 I would absolutely recommend Heidi Elnora to any bride looking for their beautiful gown." 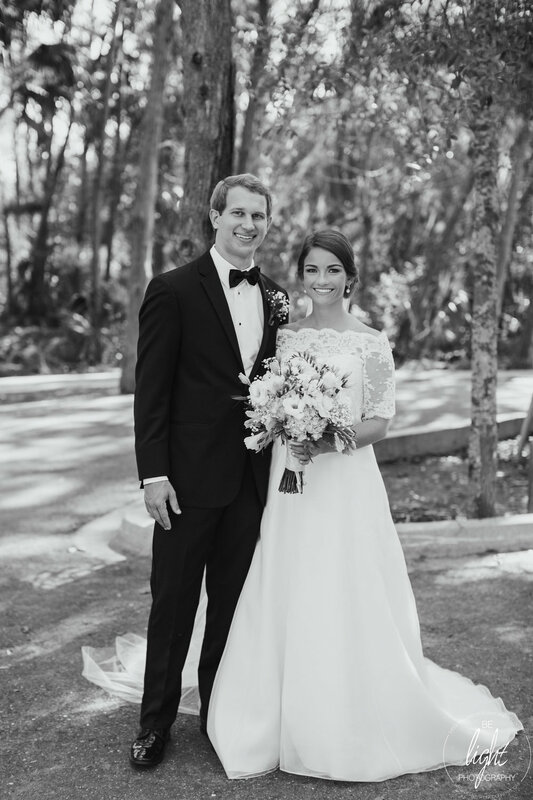 "Thank you for my making my dress, it was more perfect than I could have ever imagined." "Working with Heidi and her team was the absolute best! Heidi is the most fun, personable, hilarious, talented person. She came in my initial dress fitting with my whole family and made it so much fun for all of us. She was like a part of my family and we laughed and danced! I'll always cherish my experience at Heidi Elnora. I'm thankful for someone who invested in me and made my dream wedding dress become a reality!" "My experience at the Heidi Elnora Atelier was the best. I came for a sample sale and although there was a long line of girls waiting after me, my consultant took her time with me and made sure I felt like I was the only person in the shop. She was so helpful and honest with me in my hunt for "the dress." When I put on the dress I ended up taking home that day, Heidi walked by and said, "Wow! You found your dress!" In the end, there was no pressure to walk out with a dress that day, which was not my experience at other dress shops. But luckily, I had found the perfect dress and there was no need for pressure when it came to decision making time-- it was an immediate YES! I'm so thankful for the ladies at the Atelier for how special they made the dress buying experience for me!" "My experience with Heidi Elnora was nothing short of amazing. My dream dress came to life with the help of the staff. From the charming location, to sweet Elizabeth and the rest of the staff making sure every detail was perfect on my build a bride dress, I couldn’t have been happier with my experience. 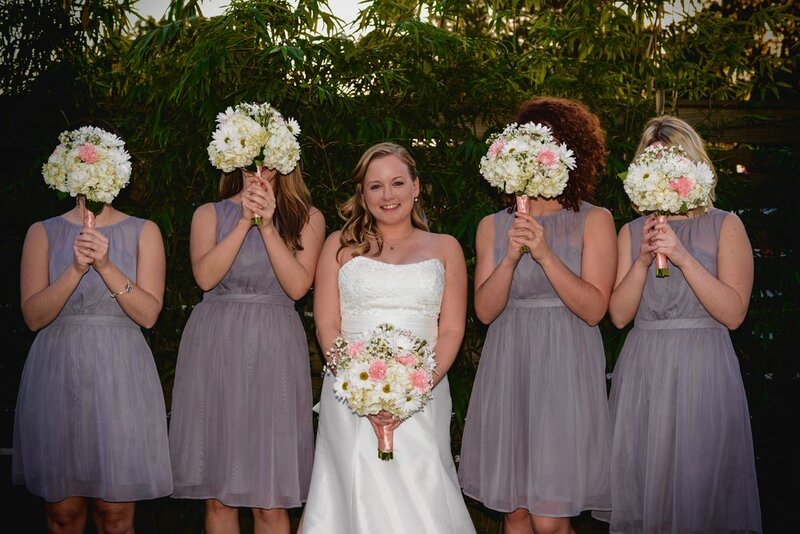 My sister was a #Heidibride, and I am proud to carry on this new family tradition!" "I cannot thank Heidi and her team more for making my dream dress! My experience with Heidi Elnora is one I will truly never forget. From walking into their dreamy shop to building my dress, to all the exciting alteration appointments, and now to the sweet friendship I will continue to have with them. So blessed by you all!" "After falling in love with photos of Heidi's dresses, my mom, my MOH and I flew from Dallas to check out her boutique in Birmingham. I was just excited to be there shopping, but had no idea how AMAZING Heidi, Elizabeth and Joy we're going to be - not to mention the gowns. These ladies make you feel like every bride-to-be should feel while trying on dresses. I can't explain how at-home and welcomed we were. This was my only bridal appointment but I don't think any other bridal shop could come close to offering the same high-quality (comfortable!) gowns or the experience we had here. I really want to thank Heidi and her girls for making a once-in-a-lifetime trip truly unforgettable because of the kindness and generosity we were shown. Well worth the trip! " "From the moment I walked into the Atelier, I was blown away with the service I received compared to other bridal boutiques I had visited. The first dress I tried on was the Mary Margaret dress, and Heidi and Elizabeth were able to make the changes I envisioned and turn it into my dream gown. " "I’m actually kinda bias when it comes to Heidi since we went to the same small high school – and were both cheerleaders! She and my little brother graduated together and were in the same circle of friends growing up. I always knew I wanted to be a Heidi bride – not only because I couldn’t see myself wearing any other dress designer except Heidi, but also because I LOVE her designs!! The 4 hour one way trip to Birmingham from Orange Beach was totally worth it. Working with Elizabeth was amazing. She helped me pick out the right silhouette & material (keep in mind I’m 41 years old and only 5’1) for my body type. It was like she knew me and my personality the second I walked into the door. I’m truly honored to be part of the Heidi Elnora family of brides! BTW – I bought the very first dress I tried on :)"
"From the second I walked into the atelier, I had nothing short of an amazing experience. Elizabeth and Heidi made the whole day so special, even helping me decide what I wanted when I didn't even know! I knew from the first show of "Bride By Design" that I wanted Heidi to make my dress because, in my mind, it was going to be more than just a piece of clothing on my wedding day. I felt so welcome and unique during every minute of my consultation. I visited the atelier several times and each time was better than the last, which is saying a lot! Heidi did an amazing job and I will treasure the experience for a life time. My dress was kind of a special case. My grandmother made my mom's dress by hand in 1980 and I wanted to incorporate both, my mom and my grandmother, into my dress. The photos I attached are a full length of the back of my dress. My train is made from the lace of my mom's dress, which was almost entirely made of lace. Heidi had no problem making the two become one and it was more than I could have ever asked for." "Before meeting Heidi and her team, my experience trying on wedding dresses was neither fun, nor successful. My mother scheduled an appointment with Heidi and after several previous strike outs, I was not looking forward to it. However, I was pleasantly surprised and immediately “felt at home” when I met Heidi and Elizabeth. They were both so warm and inviting and genuinely listened to what I wanted, plus they treated my mother and me with the utmost respect. In addition to the impeccable customer service, Heidi and her team were able to incorporate my mother’s wedding dress into mine by removing the top half of my mother’s gown and using it to construct a lace jacket for me to wear during the ceremony. They also painstakingly removed medallions of Alencon lace from my mother’s gown and train and hand applied them to my custom veil to make it even more special. It was a time intensive, labor of love, but they executed it without a single complaint and met our every request, all while ensuring the pieces of my mother’s dress were preserved and handled with the utmost care. My experience with Heidi and her team was by far the best part of planning the wedding. I would do a lot of things differently, but I wouldn’t change a thing about my wedding attire and working with Heidi and her team." "yes" and purchasing my wedding dress, I found out I was pregnant. Me and my fiancé at the time had talked about getting married and having a baby for so long!! So God blessed us with both at the same time :) I did make our engagement over a year, maybe that was a mistake...but I was dead set on 9-3-16 being our wedding date, so that's what it was! Even after finding out we were expecting. And since I was 23 weeks pregnant with our baby boy on our wedding day, I had to have my dress made into an empire waist line, Catherine Ryals did an AMAZING job on that too! & my wedding accessory I bought from Heidi Elnora, the "Alex" earrings....BEAUTIFUL!!! I got so many comments on them! As well as my dress, too. My whole EVERYTHING at Heidi Elnora was a brides hope and dream come true. I felt comfortable the moment I walked in. I can't thank you all enough for making my day and bridal experience as well absolutely perfect!" 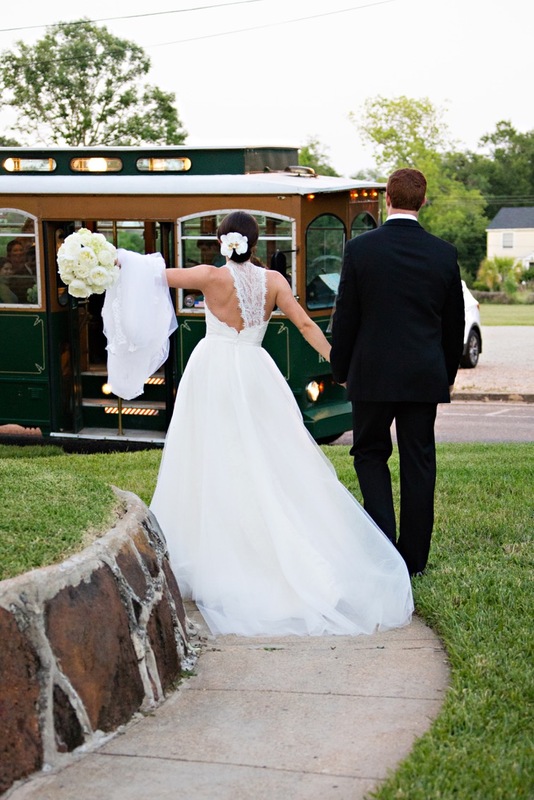 "I knew I wanted a Heidi Elnora dress before I even started dating my husband. I've admired Heidi for a long time and was blown away by every single Heidi Dress. I made an appointment at Heidi Elnora the night Kevin and I got engaged. My appointment was so much fun! My mom, sister, best friend and I had the best time. Elizabeth was incredible! She was so kind and helpful throughout the entire process. I tried on several dresses, but when I tried on the Gweneth Darling dress, I knew I found the one. This is where the magical part of my appointment began. Elizabeth filled a couple things from the Build-A-Bride line to add to my dress. We tried on a beautiful belt, but when we tried on the lace sleeves, I knew the dress was complete." "I had the best experience with Heidi Elnora Atelier. From the time we stepped in the door they showed so much love and made me feel so special. Liz was amazing and helpful in so many ways. I cannot imagine my wedding day without Heidi Elnora Atelier. I absolutely LOVE these group of women. I chose to build a bride and was able to have a wedding ceremony style that was classic and then I had a reception style that was more relaxed. I could not have imagined anything as beautiful as this special dress. Thank you all very much for helping me have the best day of my life." 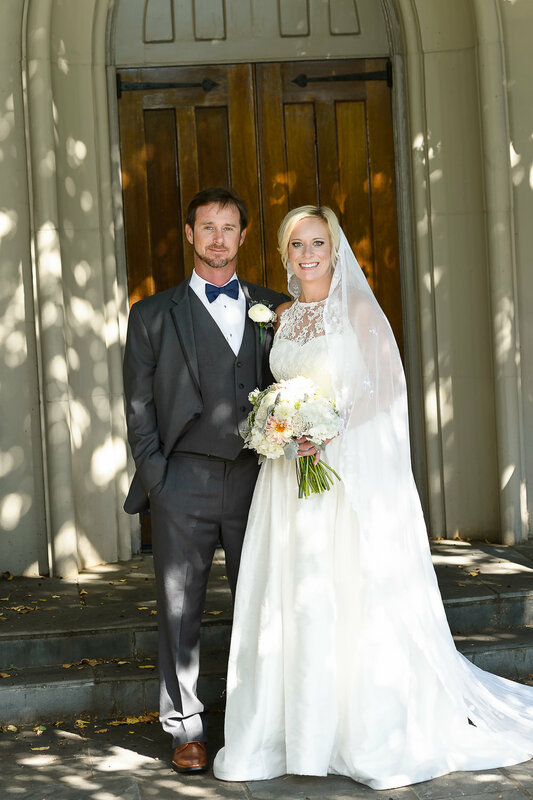 "Going to Heidi Elnora Atelier for my wedding dress was the best decision I could have made. The 6 hour drive wasn't the most convenient, but the Heidi and all of her sweet employees made it completely worth it. We always had the best time and loved getting to go to fittings, the staff really made us feel like family. The ladies there spent so much time making sure everything on my dress was just perfect and exactly how I wanted it. I don't know how my wedding dress experience could have been better." "I am so thankful for these ladies because they did not panic through any of the craziness. I didn't even try on a dress until March and our wedding was in July. I also walked into the Atelier with a box FULL of my mom's wedding dress from the 80s! I knew I wanted my mom's dress incorporated into mine in some way and they made my dream come true! I could not have asked for more. I went with a dress from the Build-A-Bride collection. I tried on four dresses and once I saw that mine had pockets, I knew it was the one. My dress took until the end of May to come in and it just seemed like everything perfectly fell into place once work began. The only alteration it required was a bustle and the pieces of lace quickly came together to form a perfect pattern on the dress. 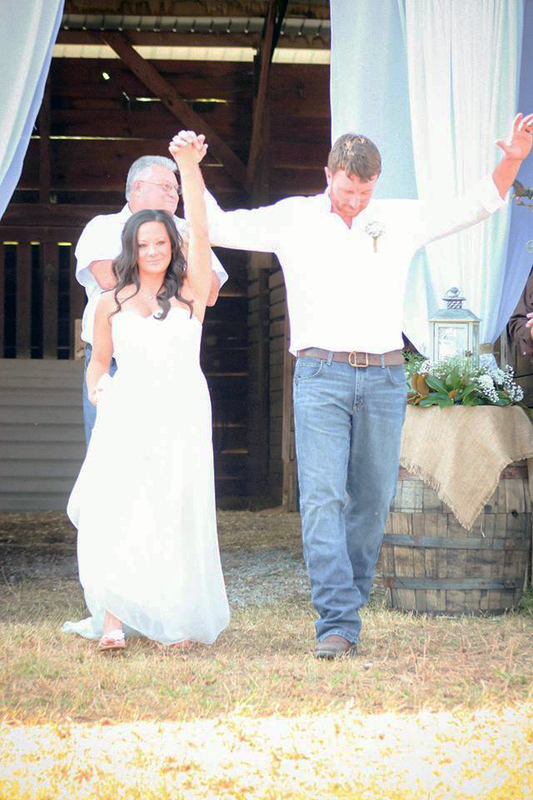 It was perfect from start to finish and in the end, I got to marry the man of my dreams in the dress of my dreams." Working with the Hiedi Elnora team has been an absolute dream. On your very first appointment you immediately become apart of the Hiedi Elnora family. Everyone on their team does literally everything they can to insure you are walking down the isle in your dream dress. I went to Hiedi and Elizabeth with my grandmothers 60 year old, vintage lace wedding dress and my mothers, 80s poofy sleeved wedding dress and ask her to use the fabric from these meaningful dresses to build my own wedding dress. The final product was truly miraculous and a dream come true that I was able to walk down the isle in such eloquent fabric. The process was so much fun. I would literally show up to every appointment about 30 mins early because I was so excited! I got to build my one of a kind wedding gown using some of the same threads that stitched our family together 60 and 30 years ago. That's not your average wedding dress shopping experience and it one I would not trade for anything. 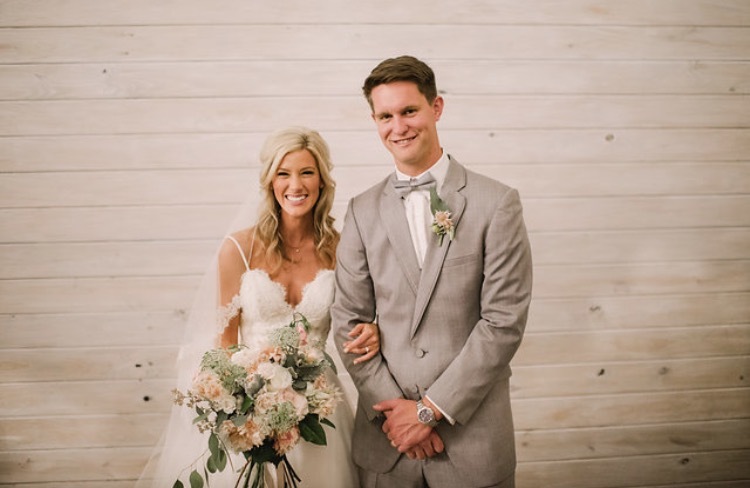 "It wasn't just finding the right dress that made my wedding so special, but the experience I had and relationships I made with Heidi and her team that made it so memorable. 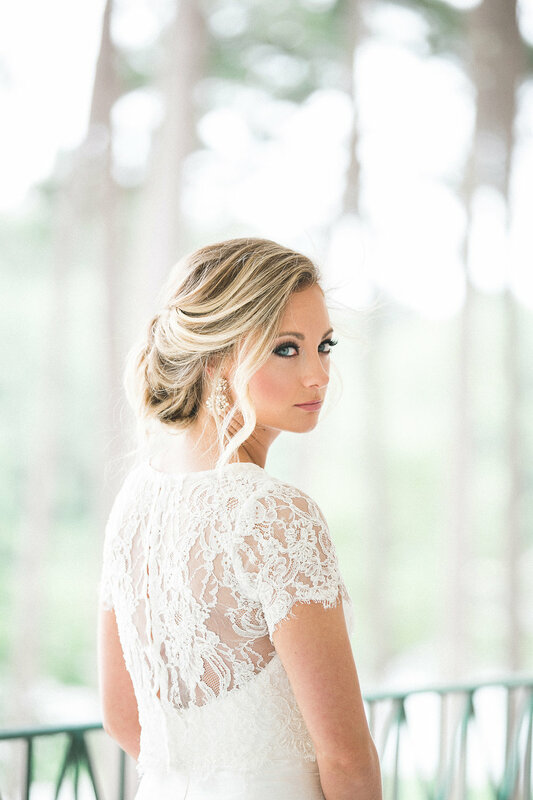 Heidi, Elizabeth, and the team truly make you feel like the bride you deserve to be. They truly have an eye for what looks good on every single girl and they aren't afraid to tell you the truth. They were so amazing to me through some ups and downs and I could not thank them enough. If I could do it all over again, I would do it in a heartbeat. Thank you for the PERFECT dress and experience!!" Photographer: Danny McEachern with J&D Farms. "I absolutely loved every single minute with Heidi and her sweet staff. They make you feel like you are the only bride in the world even when they have other clients. Elizabeth made every fitting experience a breeze and was a doll and a blast to be around! Heidi is the absolute sweetest in the world! She altered "Andy Darling" to fit my style and added straps. My dress was unlike any other that I've seen. I love the uniqueness of Heidi's style and truly feel my dress and dress buying experience were one of a kind. 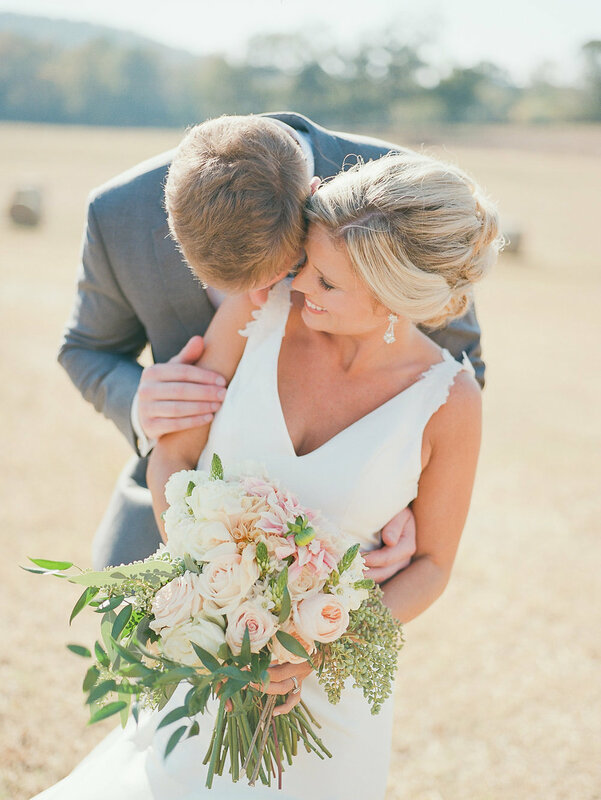 Being a Heidi Bride was one of the best decisions I made for my big day!" "My experience at Heidi Elnora was like something from the movies! Heidi and the girls made me feel we all had been best friends for years. They even treated my mom and best friend very special, which I loved. We were treated with candies and a rose for Valentine's Day, and Heidi's sketch of the dress that she created on the spot was amazing. I fell in love with the Hello Darling dresses, and found the perfect dress! Heidi and the girls knew all of the right questions to ask to get a feel for what type of dress would fit my personality and my wedding style. They knew I was a Hello Darling girl right away! From the details of the wedding gown to the details of the unique and special experience, it was all perfect!" 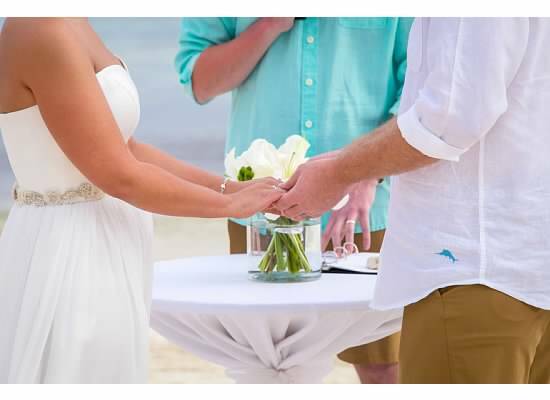 "My experience picking out a dress at Heidi Elnora was fantastic. I was not one of those brides who knew exactly what she wanted her dress to look like and frankly, I hadn't thought that much about it. Elizabeth and Heidi were exceedingly patient with me and helped me narrow down my options. They both had a very extensive knowledge of their inventory and what it would look like on me and it was clear that they were just as committed as I was to finding something wonderful. It was a lovely, stress-free, and incredibly enjoyable experience (we had so much fun, which I wasn't expecting at all!) and I absolutely LOVED my dress." "I thought finding a dress that I loved and that could be ready in 3 months was going to be impossible. Heidi, Elizabeth and the whole team at Heidi Elnora Atelier were absolutely amazing and calmed all me fears. It was the first and last place that I looked. After talking with them for just a few minutes, they knew exactly what I wanted. I felt like my experience was personal and unique, and left feeling like I had become a part of the sweetest family." 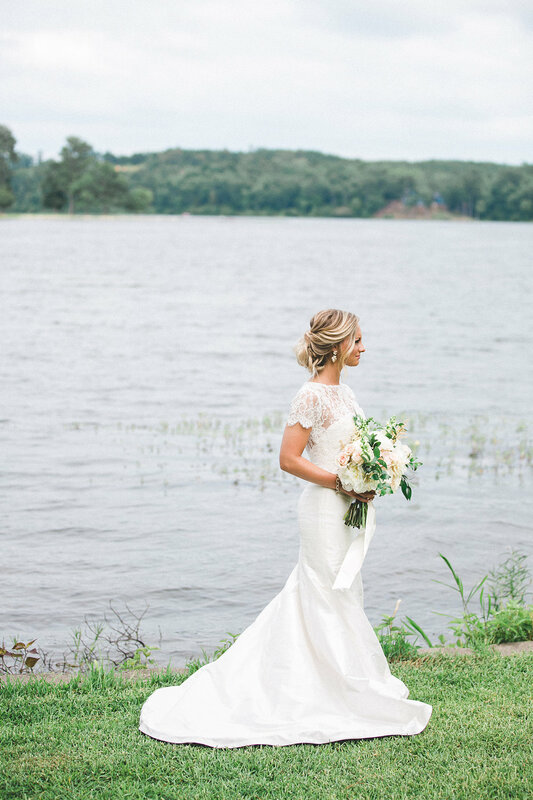 "Heidi and Elizabeth made my wedding dress experience nothing but PERFECT! Heidi knew exactly what vision I had and fulfilled it beyond my imagination, her seamstress is fabulously talented, & Elizabeth eased my nerves with her sweet, fun spirit! I not only leave with my dream dress, but with feeling like I gained new friends! I can't thank you all enough!!!" 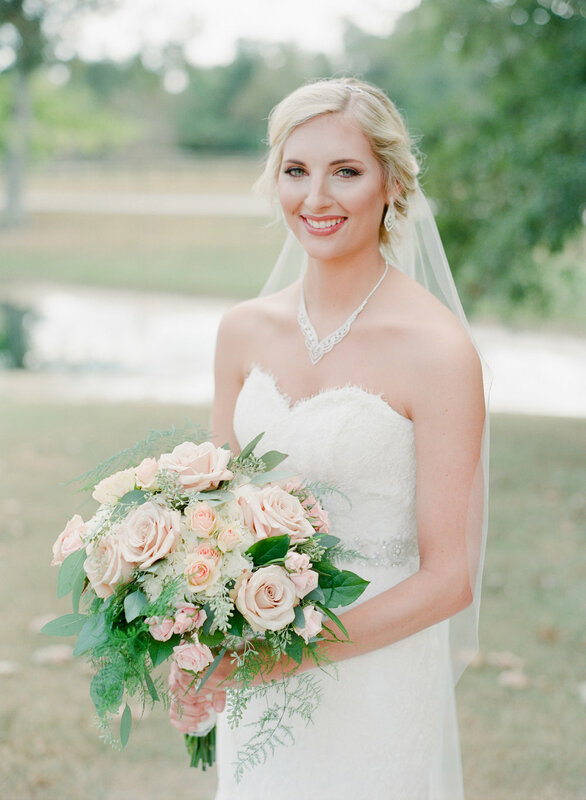 "I absolutely loved working with Heidi and Elizabeth! The Build A Bride line is fabulous and we were able to come up with the wedding dress I had always dreamed of! I recommend everyone to go see Heidi to get their wedding dress. Being able to build my dress saved me hours of shopping around trying to find the perfect dress." "Working with Heidi and her team to design my wedding dress was an absolute dream. Not only is she amazing at designing wedding dresses, but her personality and friendship is part of the entire package! The ladies at Heidi Elnora are so kind, thoughtful, encouraging, and such a joy to be around. I was truly sad when the experience was over! If you are looking for the perfect wedding dress for your special day and an even better experience finding it, Heidi Elnora is the answer. The best of the best!" "After going to 10+ bridal stores and not finding the dress I knew I had to visit Heidi Elnora Atelier. From the moment we walked I knew we were in the right place! Being able to try on dresses with the designer present is a once in a life time experience!! Heidi is so sweet and took time to explain all the details in the dress! I am so in love with my dress! If you are looking for a one of a kind dress this is the place to go!" "Heidi Elnora was a one-stop shop for me. It was such an incredible experience, and I knew no other boutique could compare. I arrived to Heidi and Elizabeth via word of mouth, and I must spread the word too! Elizabeth and Heidi listened to the vision I had in mind of my wedding day, and pulled dresses that fit this vision. I chose the first dress I tried on! Heidi even helped me narrow down my top 3 choices and ended up sketching an original design of the dress to give to me as a gift. I am looking forward to going back for alterations! Heidi is incredibly down-to-earth, easy to talk to, and a complete visionary with such magnificent work. I am so thrilled to be a #heidibride! I have to give Heidi and her team 5 stars!" "There aren't appropriate words to describe my gratitude for the amazing ladies of Heidi Elnora Atelier who poured in so much hard work and so much love into making my dream a reality. The passion that Heidi and her team have is completely unmatched. Not only is that evident in her final product, but you feel it the moment you walk into Heidi Elnora Atelier. Heidi has this incredible way of becoming your best friend, identifying special personality traits that make you who you are, and putting them on paper all in one appointment. A true "soul sister." From picking out fabrics, to the most precise measurements, I was encouraged to be active in the entire process. There is not one element I asked for that Heidi didn't pour her love into. My simple little dress turned into something so grand, all because I was encouraged to be myself completely, not just a typical bride. To have my wedding gown be a complete representation of who I am was one of the most special elements of my wedding day. Instead of walking out of a salon with a gown, I left with an intricate work of art that I will forever cherish, along with the beautiful friendships made within the walls of the Atelier. I am forever grateful." 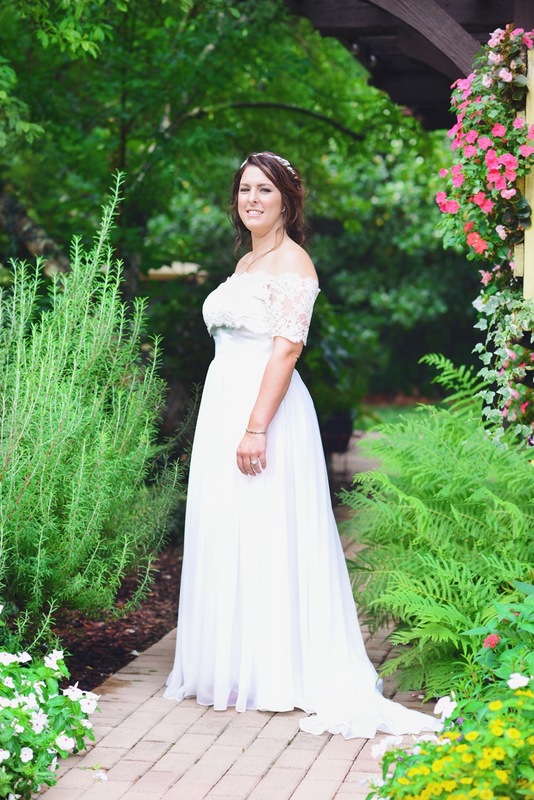 "After 6 appointments at other bridal stores and trying to piece together dresses I was referred to Heidi Elnora. The moment I walked in and met Heidi and Elizabeth I knew they could make my dream dress. Once I told Heidi the idea I had in my head, she took it and ran with it. Heidi and Elizabeth put up with me and all my indecision and we laughed our way through every dress fitting. They both made the process so amazing and Heidi and her creativeness never ceases to amaze me. 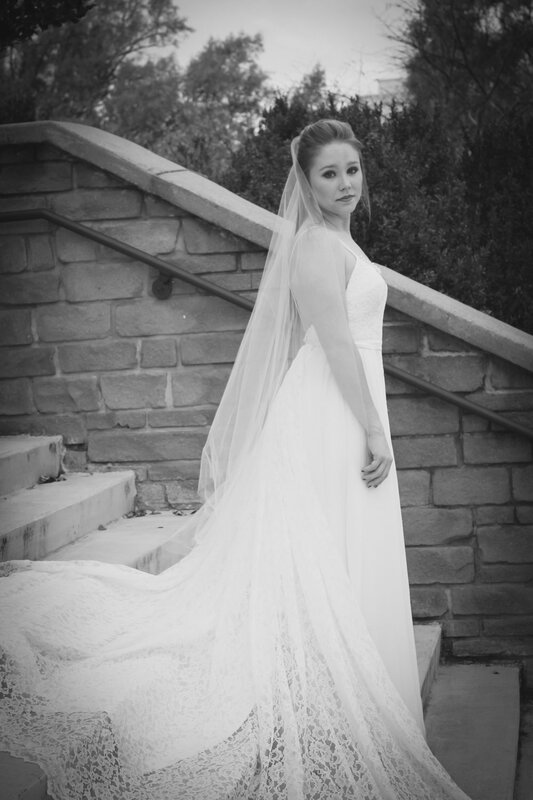 I cannot thank Heidi and her team enough for creating my dream wedding dress." "Working with Heidi and the entire team made the dress buying process the most fun and easiest part of the wedding planning experience. It amazed me how Heidi can take your ideas and your own personal style and have them come to life in your dress." "Shopping for a wedding dress can be stressful and overwhelming. I went to several dress stores and never found one that I LOVED until I went to Heidi Elnora. It's not common that you go into a store and get to sit down with the designer, but Heidi went out of her way to do that for me. She sat down with me, picked my mind and helped me dream of the prefect dress. Heidi then went and pulled several dresses for me and had me try on each dress. When I had a dress on she would ask me to say what I loved about it and what I didn't like about it. After trying on the dresses she sat down with me again and made a list of the things I loved about the different dresses. Heidi then said "I know the perfect dress for you, it's not what you thought you wanted when you walked in here, but it has all the qualities you said you loved about the other dresses." When she went to get the dress for me, I was hesitant to try it on because It was something I would have never picked out. But as soon as I put the dress on and walked out of the dressing room i started crying and so did everyone else (my mom, mother in law, maid of honor, and sisters)....It was PERFECT! I LOVED everything about it from top to bottom. Heidi is one special and talented woman. She was determined to find a dress that I absolutely loved and she didn't stop or give up until I found it. Heidi made me feel so loved, special and beautiful. I would HIGHLY recommend Heidi Elnora to any girl picking out a wedding dress, there really is no one as great as them!" "After my engagement, my mother offered her wedding dress to me and a friend of mine recommended Heidi Elnora. During my first appointment, Heidi spoke to me about our vision for our wedding and my vision for my gown. I tried on multiple dress silhouettes and my mother’s wedding gown. Using pieces of my mother’s gown, Heidi designed a custom couture wedding gown inspired by my mother’s gown. It was absolutely perfect! My dress was literally everything I have ever wanted in a wedding gown. Not only was my dress perfect but so was the entire experience. A perfect, once in a lifetime experience. Heidi and her team are rock stars!" "Heidi, I would like to personally “Thank you and your team” for helping to make my wedding day the one of my dreams. I am so grateful I had the opportunity to work with you and your team. I couldn’t have asked for a more compassionate and professional experience. I can be indecisive and feared the selection process, you made it easy and at the same time knew exactly what I wanted and needed. My dress was so comfortable and fit me perfectly. My wedding day was awesome!" 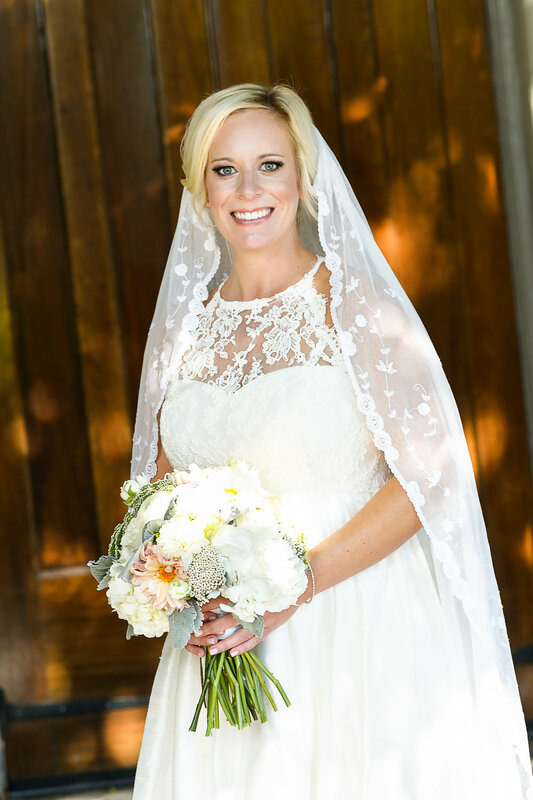 "How lucky was I to have had the 'Build-a-Bride' experience with Heidi Elnora! For a bride who has been sketching and thinking of her wedding dress since she was a little girl, it was a dream come true to be a 'model' in the creative process of building the perfect wedding dress for my long-awaited day! Heidi, Elizabeth and Carolyn were kind, patient, hilarious, generous, imaginative and innovative during the entire dress design adventure! As much as I was ready to get married, my last fitting was filled with bittersweet joy as it marked the end to the wonderful experience I had only dreamed of before! Thanks to Heidi, Elizabeth and Carolyn for making this 44 year old bride feel like a princess on her wedding day!" 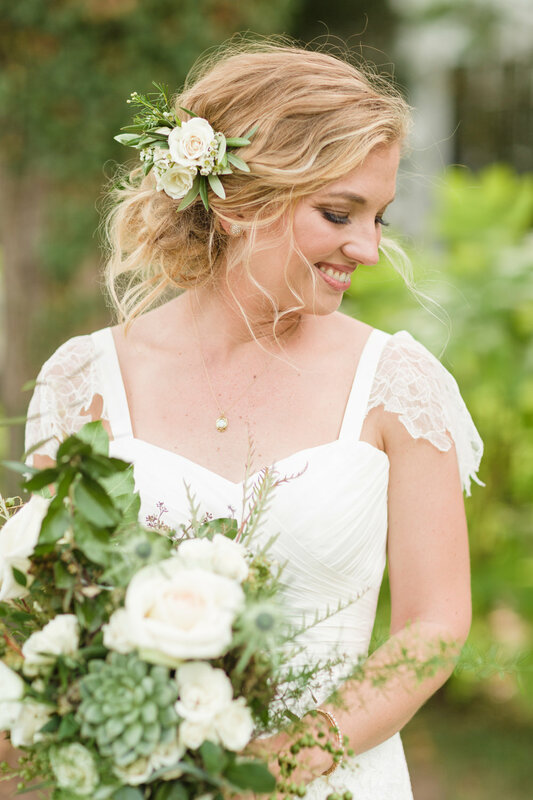 "Heidi and her team made it possible for me to feel like the bohemian bride that i always dreamed of being! When we arrived we were greeted by Heidi and my mom was so excited! Heidi and Elizabeth did not stop until my dress was perfect and just the way I wanted it! If your looking for your dream wedding dress then go to Heidi Elnora!" "Simply amazing and stress free." That is the phrase I would use to describe the experience I had when getting my wedding dress. From beginning to end, Heidi and the entire team were a dream to work with and made the experience wonderful for not only me but also my Mother. I had almost decided on my dress, but Heidi could tell that I was not completely sold on the look and accessories and asked what was wrong. I shared with her that I didn't want a strapless dress because that was the style I had always worn and she told me to wait one second. She came back with the gorgeous Sara Gabriel Swarovski crystal straps and put those on- that was it! Just like that, she had created the perfect dress for me! I could not have dreamt up a more perfect dress or more memorable experience than what I had from Heidi, Elizabeth, and the rest of the team! for my big day. The added bonus and almost unbelievable part of this all was that when I actually went to purchase my dress, they shared the name of the dress with me- Lola Blaire. Ironically, my two best friends each just had baby girls. One namedLola and one named Blaire. Talk about magical. It was the icing on the cake of a beautiful dress for me." "Working with Elizabeth, Heidi and Catherine was an absolute joy! Looking for plus size dress was proving difficult but when I spoke with Elizabeth she reassured me they had a few samples I could try on to start with. My mom and I drove from Nashville and met Elizabeth. We laughed through the first appointment and found a great silhouette from the Build-A-Bride line. Heidi even came out to see what the excitement was and recommended a few tweaks that accentuated the right areas. They were so positive and encouraging! About half way through the dress process I found a top that inspired me. I brought a picture of it to the next fitting and Heidi began dreaming and shaping. I loved it! The team at Heidi Elnora was truly phenomenal. 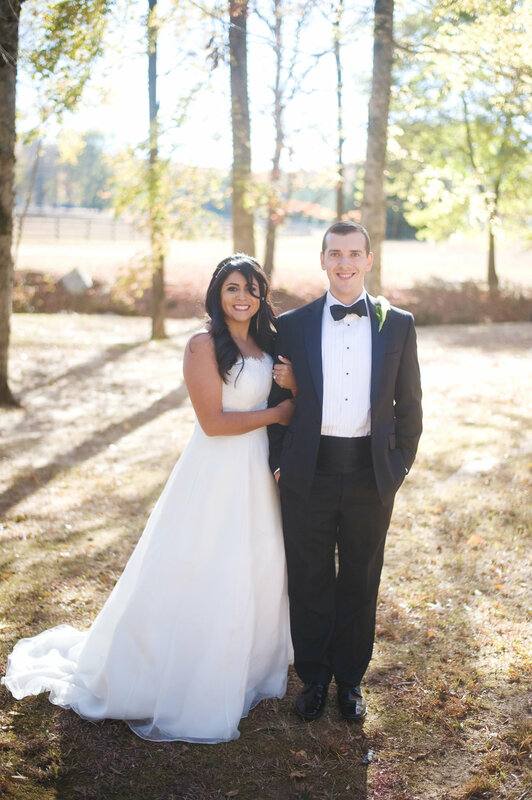 It was so special to have a piece of Birmingham in our wedding!" "My dress was made from the lace of my grandmother's dress. Heidi and the team met with me, my mom and grandmother to determine exactly the look we wanted and took great care of my grandmother's dress. They worked hard to create the perfect dress for me while remaining true to the design of my grandmother's dress. I really am still in awe of how beautiful my dress turned out. 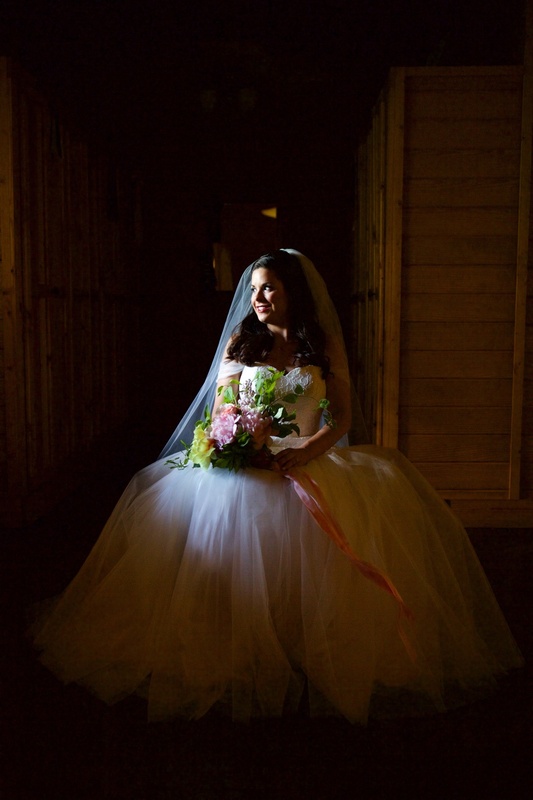 I truly felt like a princess in it and my husband loved it!"